Latest Research News is to be found at the end of this paper. The descendants of Richard Maitland (d.1778), originating in Britain (with no demonstrated Scottish link, though one must exist), who moved to Jamaica and then back to England, via China and married into the Parkes family from the English Midlands. Antony Maitland comes from this family. The descendants of Henry Owen (1792-1845), originating in England who moved to Canada (as Kirk-Owens) and reappeared in England married into the Chadwick family of Ireland and Canada. Alice Maitland comes from this family. Over the years, I have been asked many times how I started on the histories of our families. I suppose, like many genealogists, the interest developed later in life. It all began in about 1990 with my looking at a history of my father’s maternal family, written by his uncle, Bert Poole, a work which was commonly known in the family as “Bert’s Begats”; along with this was a handwritten tree of the Maitland family. I drew these out on an early CAD programme, which accentuated the missing three quarters of our families, so I set off looking for them. The first sources were my father, who knew about his uncles and aunts, which linked to the handwritten tree; he also, through the works (Josiah Parkes and Sons), had a good idea of the Parkes family (my mother was always rather vague about her family). Alice’s mother, Betty, knew quite a lot of hers and Rex’s family, but not in a very organised way – her memories took quite a lot of unravelling! The big surprise was the discovery that my GGG grandfather, Francis Maitland was a man of colour from Jamaica. This discovery came about fortuitously: his marriage in St Clement Danes, London, was in the Mormon’s database. I went to the Record Office to look at the original, and they suggested looking at the burials, and there he was: still no mention of Jamaica. His will made mention of Manchester and St Elizabeth, which then meant nothing to me; however, his death duty register described him as being of Jamaica. By good fortune, the Mormons in London had all the Jamaica Parish Records on microfilm, and away I went! When I began this research, the world Wide Web was just starting (in 1991, people outside of CERN were invited to join this new web community), nothing was available online. My early English work was carried out on census records on microfilm in the basement of the Public Records Office in Chancery Lane, before it moved to Kew. The post 1837 birth marriage & death records were found from large index volumes, and parish records from microfilms in local record offices. The major 1st reference for pre 1837 births and marriages was the IGI database created by the Church of the LDS, then available in microfiche form, by county. I used the ones at their London centre in Exhibition Road. I was an early user of pc’s, having had a lap top computer by 1989. I had my first web domain name by mid 1990’s, and, over the years, my website has yielded many interesting contacts. The internet of course now has an enormous amount of data on it, but for deeper and accurate investigations, particularly in Jamaica, one still has to refer back to original paper records. These are, in the main, now gathered into sensibly organised record offices. I have enormous admiration for the 19th & early 20th century researchers who had to work from original records, scattered around the countries. Much seemed to have been done from other usually privately, published works. Many parish records have been indexed, the early ones, especially in Jamaica, by the priests, who were probably not over worked! This work was written from the start to be readable on the internet, so contains some links which may appear a little strange in a printed version. Jamaica has become the area I have spent most time on: my research has extended to cover the lives and history of the early Jamaican planters and their properties. On the face of it, other than the fact I was born in Egypt, Alice’s and my backgrounds appear to be very normal middle class English, with suitable school, social and home backgrounds. Once one delves into the families, it suddenly becomes much more complicated and exotic, with me even having slave ancestors! Of Alice, my wife’s family, I knew little other than the rather jumbled remarks of her mother, born Betty Chadwick, (but who had a number of married names having had 4 husbands!). Her Chadwick family, it later transpired had been documented in a similar manner to our Pooles by one Edward Chadwick, a copy of whose work I was able to photocopy in Canada. Other sources revealed detail of her father Rex’s Kirk Owen family. As it turned out, between Alice and I, we have vary varied and interesting origins: of our parents, only my mother was of “standard” British stock, even though we ourselves would be regarded as being so. The Maitlands, of unknown Scottish origins have wandered the globe for about 300 years, ranging between pre-Revolutionary America, the Caribbean, the Far East and, in my case Egypt. The Kirk Owens and Chadwicks, Alice’s father and mother, were Canadian born, of English and Irish origins. My mother’s Parkes family, by contrast, have never been more than about 50 miles from Wolverhampton, starting as journeymen and labourers, moving with 19th Century industrialisation. I was born in Cairo in 1945, but resident in Great Britain all my life. My father’s family have been wanderers for many generations; our connection with the Scottish Maitlands is unknown, but dates from no later than the early 18th Century via Jamaica. My mother's family, in complete contrast, are from the English Midlands, all originating within 50 miles of Wolverhampton. My autobiography is a part of the Maitland volume. My wife Alice’s parents were from Canada though she was born in London in 1956. Her father's side emigrated before the 1st World War from the Liverpool area and the English Midlands. Her mother's side emigrated from Ireland to Ontario in the middle of the 19th Century. Alice’s biography is a part of the Kirk Owen volume. The Maitlands, whose earliest member was one Richard Maitland, a merchant mariner. He first appears with his will in 1740, and for the next nearly 40 years sails the ocean blue, in later years between England and North America where he died in 1778. He may have been related to the 18th Century Maitland Merchants in London, but there is an indication of his being Irish and therefore likely to have been of the Maitland’s of SW Scotland, although there are DNA indications of an origin near Aberdeen. His descendants passed through Jamaica for a couple of generations, an area which I have researched extensively using original sources. The Parkes’s, a family which as said before, all originated within about 50 miles of Wolverhampton. They were a typical example a Midlands industrial family where artisan craftsmen expanded their activities, drawing in others coming in from the country in search of work, either in the new manufactories or into the mines being developed. There is some evidence of the families moving as mines contracted and other areas opened up. The Kirk Owens were late immigrants (early 20thC) to Canada, Rex’s father and mother coming from respectively, Liverpool and the English Midlands. One coincidence is that Rex’s mother Dolman was born in the outskirts of Wolverhampton. Both the Kirk-Owens and Dolmans were, like the Parkes, families whose fortunes improved in the industrial 19thC cities. Lastly comes the Chadwick family. They were Irish, the first member arriving in Canada in about 1840, with the Hendersons a little later. The Chadwicks were probably English planters, perhaps from Lancashire, moving to southern Ireland in the 1660’s. Later, in Ontario, Canada, a Chadwick married a daughter of the Stewarts from Northern Ireland. These Stewarts had married a daughter of the Pakenham family, a sister of whom became the Duchess of Wellington. By another coincidence, her brother’s agent in Antrim was John Armstrong, great grandfather of my father’s mother, the American Eleanor Poole. Thus, 2 families, closely connected in business in one generation, rejoined on the doorstep of a house in Herefordshire in 1975. In the intervening 170 years, the Stewart/Chadwick family had gone to Ontario, British Columbia & London, while the other side had gone to Illinois, Japan, China, Surrey and Wolverhampton. Rex Kirk-Owen of Canada, Liverpool, Cheshire & Staffordshire. Ethel Lister of Staffordshire and Shropshire. Creina Henderson of Ontario and Ulster. There are a number of photographs in JPG format of family members. The families divide up into 4 volumes, one for each of my and my wife's parents. Within these volumes, the preceding generations are divided into a number of chapters. Brief details follow, with links to pages which guide the reader to greater detail. Descendants of Richard Maitland a merchant mariner trading between England and pre revolutionary America; Richard’s and his son John, also a mariner and later a planter and merchant in St Elizabeth Parish, Jamaica; John’s son became a planter in the west of the Island; his sons mostly moved to England in the mid 19th Century. Several worked in the Far East in the late 19th and early 20th Centuries. The Jamaican Maitlands intermarried with several other mixed race families. Richard Maitland (abt 1710-1778) and his son, John (1745-1786/7). Life and descendants of Francis Maitland of Jamaica (b 1784). Post Jamaica Maitlands, the Chapman & Cleugh families of Newcastle, and the Carpenters of Devon. Wrights, Sinclair, Hayle, Booth & Burton of Jamaica. General Jamaican matters, property etc. Maitland family wills, deeds, land grants & some inventories, including Jamaican Documents. Nichol & Wright families of Scotland, as connected to 19th Maitlands. Roberts of Jamaica, who married into our Wright family. My father, Donald Maitland’s mother was a Poole from the USA (Illinois & New England) and Ireland. This information includes an extensive history of our branch of the Pooles and other New England families written by her brother, Herbert Armstrong Poole, between 1905 and 1955. Manchester, Ingols & many other early New England families. Armstrong of Ireland & Illinois. HA Poole’s history – “Bert’s Begats”, the full text. Rushmore – miscellaneous papers on that family related to the Pooles. My mothers family, the Parkes from Willenhall and the English West Midlands. They were the founding family of Josiah Parkes and Sons, manufacturers of the Union brand of door locks. The other families came mostly from Worcestershire and Warwickshire amongst which were the Copes, Turners and Duntons. Richard Parkes to AJ Parkes – The Willenhall Josiah Parkes family. Lister – of Broseley, Shropshire, and then Willenhall and England. They were originally miners in Broseley and later in Willenhall and married into the Bradley, Palmer and Roper families. Fryers, Staits, Wilkes, Hemmings of Warwickshire - Arthur Parkes’s mother’s family. Power family married to Joy Parkes, cousin of Rosemary Parkes. jp&s – short history of Josiah Parkes & Sons, lock manufacturers. Alice’s fathers family, calling themselves Kirk-Owens in Western Canada, but prior to then simply Owen, were from Liverpool and North Cheshire, who emigrated to Alberta, Canada before the 1st World War, later moving to British Columbia; they include Quilliams & Branthwaites. The Browns of Chester, - married into the Liverpool Owens. The Tate family of Sussex – married into the Dolmans and include Kings of Swallowfield, Berkshire. Wills – wills of the Dolman and Peter families. Alice’s mothers family, the Chadwicks were from Southern Ireland, probably Cromwellian incomers From Lancashire, and emigrated to Ontario, Canada in the mid 19th Century. Her line later moved to British Columbia. Stewarts - of Tyrcallen, Donegal, and Ontario. Pakenhams - of of Langford Lodge, Antrim, married a Stewart. 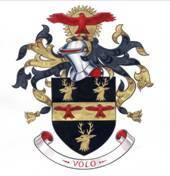 Richard Vernon – brief ancestry of RL Vernon of Hilton. Edward Marion Chadwick – background to EM Chadwick, author of histories of the Chadwicks. The Chadwicks of Guelph and Toronto and Their Cousins – Text version of Edward Marion Chadwick’s work - Full text also held with coats of arms etc. Cooper Chadwick Family of Tipperary, who descended from the same Irish family. Stewart Appendix – general extracts of relevance to the Stewarts. stewart2 – later Stewart descendants in New Zealand – not online. For general information about the Clan Maitland and other links, go to their website. Clan Maitland Pedigree & descendants thereof. Jamaica Maps images of the Browne (1755) and Robinson (1804) maps and Gazetteer of these and other maps. There are a number of Image, CAD, Gedcom and Family Tree Maker files of all known individuals, including a large Scottish Aristocracy file. Most of these are Zipped. Antonymaitland.com opens with “index” which calls up this file: links to “home” come back here. Moved list and tree file references to a separate part. Note frame on this file: make file a table.